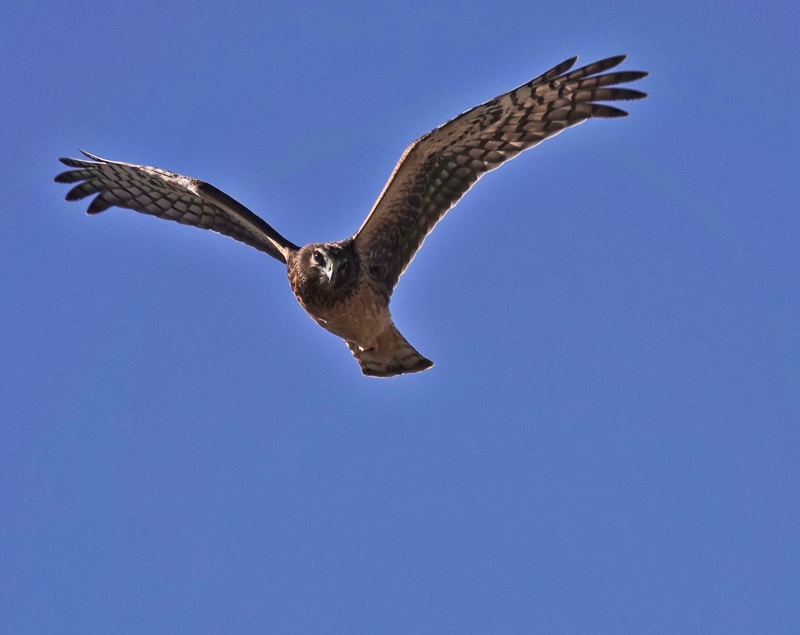 In keeping with yesterday’s “it is not all Snow Geese and Sandhill Cranes at Bosque” theme, here is one of the many Northern Harriers currently hunting the fields of Bosque del Apache National Wildlife Refuge in New Mexico. More Harriers this year than I have ever seen at Bosque in the 25+ years I have been going there. Mostly I saw them far off cruising the back edges of fields. This one came right over on its way from one field to the next and I caught it! Sony RX10iv at 600mm equivalent. My custom Birds in Flight and Action modifications to Program mode. Processed in Polarr. Makes me really glad I am not a mouse or a vole!